Matryoshka nesting doll Semenovskaya matryoshka1. Free worldwide shipping. 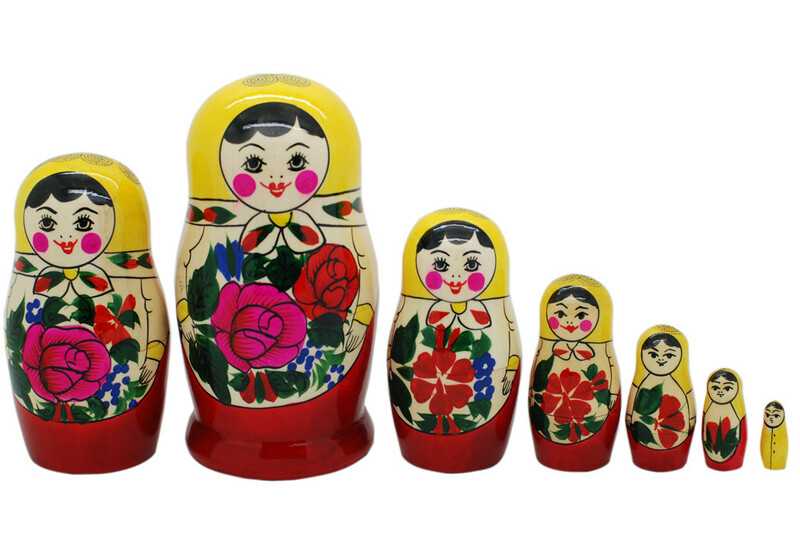 7 piece matryoshka doll set. This set is made by hand in Russia in Semenov city that is why its name is Semenovskaya. 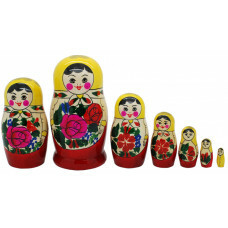 This nesting doll is an authentic example of a Semenov style of matryoshka painting. Because of Semenov city it features the characteristic bright red flowers and traditional yellow scarves. It is made of linden wood and then painted by a professional matryoshka doll artist. 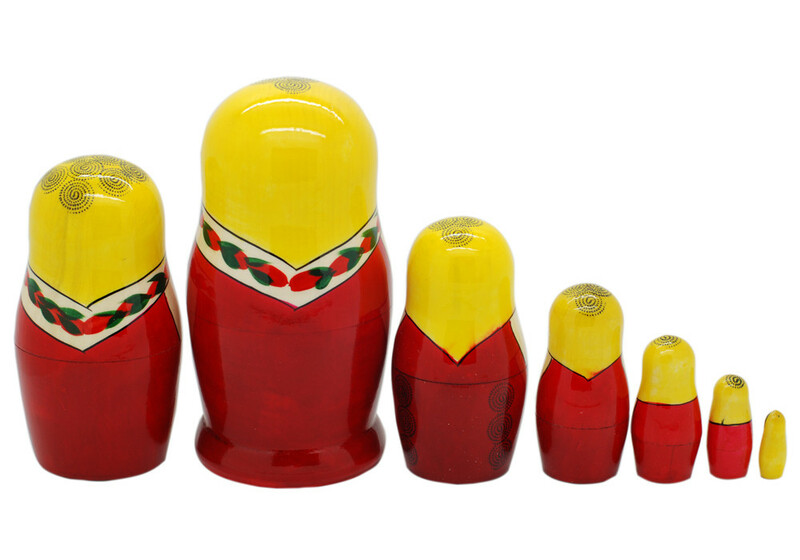 It is a traditional matryoshka doll, and each smaller piece of the set fits into the next larger one. Each matryoshka is polished with 2 layers of crystal clear lacquer.